floating world: Don't Cry, So Why Don't We Sing? Compared with Hou's another Taiwanese historical epic City of Sadness which is told as a straight forward family saga, Good Men, Good Women is a much more complex film, both structurally and thematically. So it makes a much more challenging viewing experience. It starts out with a young actress Liang Ching (Annie Shizuoka Inoh) with a troubled past as she prepares the role of Chiang Bi-yu, a real life character in a film version of Good Men, Good Women, about a group of young Taiwanese idealists going over to the mainland China to join the resistance against Japanese in WWII. 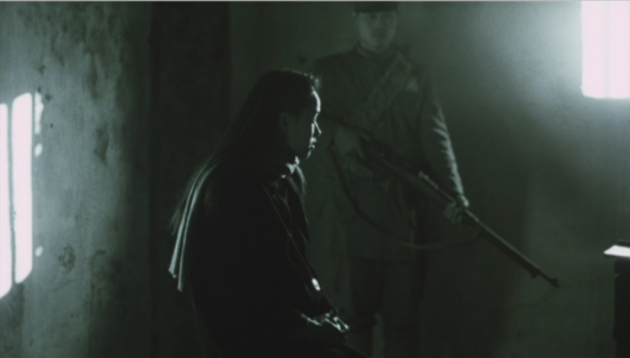 The monochrome version of the film within the film is scattered through out, giving the island nation's tumultuous history through these well intentioned characters who fell victims to political circumstances. It also loosely connects with the life of Liang in the present time who has been leading rather a trashy, decadent life. Someone is stalking Liang with late night phone calls and faxing her the snippets of her own diary which was stolen. The diary reflects on her seedy past to herself as a bar hostess and a drug addict. She is also haunted by the memories of her lover, Ah Wei, a low level gangster who was murdered some years ago. 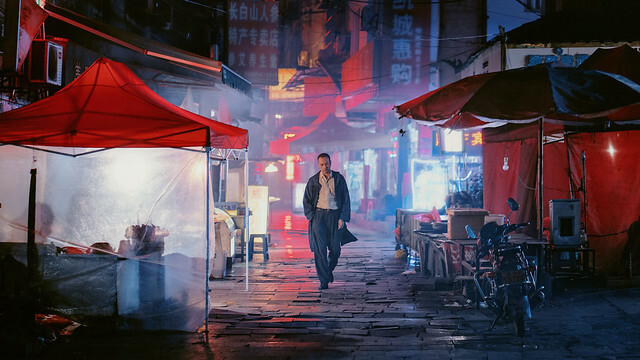 We spend most of the running time with Liang in her present life and in flashbacks with Ah Wei, shot and framed beautifully in typical Hou mastery. The seemingly unconnected story resonates in the film's end as the same wide shot of people crossing the field of Chinese countryside, singing (one in monochrome and one color) reminding the prologue: "When yesterday's sadness is about to die/When tomorrow's good cheer is marching towards us/Then people say, don't cry. So why don't we sing." Liang's life can be construed as the director's comments on decadent present Taiwanese society. But Liang is a deeply unhappy character who can't escape the shadow of her past. We can't help but sympathize with her. There is obviously a larger context in play here - the nation's shameful past needs to be recognized in order to go forward. Complex, asymmetrical and enigmatic, yet richly rewarding, Good Men, Good Women is the Hou film I was craving for. But now I have to watch Puppetmaster to finish the Hou's Taiwanese History Trilogy.